With jury selection underway, a Marrero man cut short his trial Tuesday (March 6) and pleaded guilty as charged to robbing a man he met through a social media dating application. Randell Mason, 27, was sentenced to 15 years in prison for robbing a 21-year-old New Orleans man of his car just before 2 a.m., on March 17, 2016. He also pleaded guilty to being a convicted felon in possession of a firearm, for which he received a 15-year sentence. Using the name “Aaron,” Mason met the victim days prior to the crime through the Badoo dating app, according to the Jefferson Parish Sheriff’s Office. They exchanged cell phone numbers and communicated through text messages, eventually agreeing to meet in the 5000 block of Mount Rushmore Drive, according to the Sheriff’s Office incident report. There, Mason got into the victim’s 2013 Chrysler 200C. They traveled to the 5000 block of Grenoble Court, in Marrero, where the victim believed Mason’s aunt lived. As they walked through an alley, Mason brandished a semiautomatic pistol and ordered the victim to give up the car keys. The victim complied, and Mason drove away. Within hours, detectives identified Mason as the suspect through his photograph on the Badoo app. The U.S. Marshals Gulf Coast Regional Fugitive Task Force located and arrested Mason on April 9, 2016, in an apartment in the 5000 block of Mount Rushmore Drive. When confronted with the Badoo account, Mason asserted someone created the fraudulent site by stealing his photograph from social media. He eventually said he planned to meet the victim for a sexual encounter but found the victim to be unattractive and began yelling at him. The victim, Mason asserted, felt intimidated and simply gave him the keys to his car. He said drove home in the victim’s car and then he gave it to “a crack head” on Mount Rushmore. He also said the cell phone with which he communicated with the victim belonged to the same “crack head.” He also denied having a firearm during the encounter. Jury selection began Tuesday morning. With prospective jurors selected and the victim waiting to testify against him, Mason offered to plead guilty to the two charges. He also pleaded guilty to being a double offender because of a prior carjacking conviction. Judge Conn Regan of the 24th Judicial District Court accepted the plea and ran Mason’s sentences concurrently, for a total of 15 years..
Six days after they were convicted of a 2015 crime spree that left one man dead and another bound to a wheelchair for life, two West Bank men were sentenced Thursday (Sept. 14). Corey Flag, 25, of Marrero, was sentenced to life plus 167 years in prison. Emmett Garrison IV, 18, of Gretna, was sentenced to 197 years in prison and awaits his punishment for murder. Because he was under age 18 at the time, Garrison cannot face a mandatory life sentence for murder, as Louisiana’s statute requires for adults. Garrison could be deemed parole eligible after 25 years but also could get life in prison without parole. Judge John Molaison of the 24th Judicial District Court set a Nov. 6 hearing to consider Garrison’s punishment for the second-degree murder. A Jefferson Parish jury on Friday night unanimously convicted Flag and Garrison as charged of offenses asserted in a 10-count indictment. The crimes included the second-degree murder of Bruce Lutcher Sr., 34, who was shot multiple times while being robbed outside his apartment in the 1600 block of Ute Drive on Nov. 23, 2015. They also were convicted of robbing and attempting to rob three men outside their apartments in Terrytown and Harvey, within an hour’s span on Dec. 11, 2015. One of the victims, a 25-year-old man, was shot by Garrison and left paralyzed from the waist down. Flag also was convicted of being a felon in possession of a firearm and illegal use of a firearm. Garrison was convicted of attempted second-degree murder, for shooting the man who was left paralyzed. Together they were convicted of conspiracy to commit armed robbery and illegal discharge of a firearm. 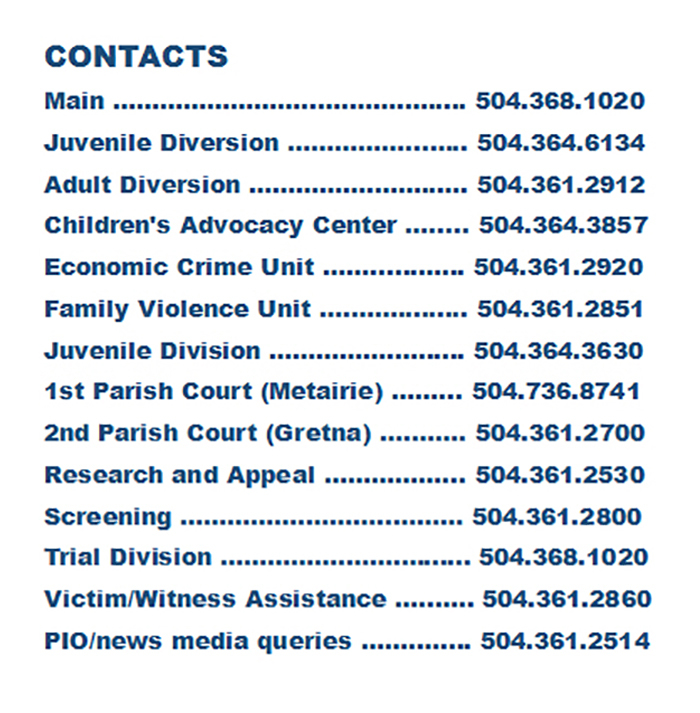 The latter charge involved a Dec. 9, 2015 drive-by shooting in Marrero. Judge Molaison, in explaining his reasons for sentencing, noted Flag and Garrison robbed four victims, all involving a firearm. Judge Molaison said he found no mitigating grounds to excuse their criminal conduct. UPDATE: Following several court appearances during which testimony was given, Garrison, now 20, was sentenced on Dec. 3, 2018, to a mandatory life sentence in prison for his second-degree murder conviction. Judge William “Chuck” Credo III, sitting ad hoc in the court’s Division E seat, ordered Garrison’s life sentence to be served consecutive to the 197 years given by Judge Molaison. In court filings, prosecutors in October 2017 announced their intent to seek life without parole for Garrison and requested sentencing hearings. Because he was under age 18 at the time he participated in the murder of Mr. Lutcher, Garrison could not automatically face a mandatory life sentence in prison. By law, life without parole is reserved for “the rare juvenile offender whose crime reflects irreparable corruption,” according to court documents. Assistant District Attorneys Doug Freese and Rachel Africk prosecuted the case. Two West Bank men were convicted as charged Friday night (Sept. 8) for committing a violent, month-long crime spree in late 2015 that left one man dead and another partially paralyzed. Count 1, second-degree murder. Garrison and Flag killed Bruce Lutcher Sr., 34, while robbing him outside his apartment in the 1600 block of Ute Drive in Harvey on Nov. 23, 2015. Count 2, conspiracy to commit armed robbery. Garrison and Flag conspired to commit a string of armed robberies that occurred during the crime spree. Count 3, attempted armed robbery. Garrison and Flag attempted to rob a 26-year-old Hispanic man outside his apartment in the 2900 block of South Monterey Court, in Terrytown. This crime happened approximately 5:30 p.m., on Dec. 11, 2015, and was the first of three robbery attempts occurring within a one-hour span. They left this robbery empty handed. Count 4, illegal discharge of a firearm. Flag fired a 9mm semiautomatic pistol at the victim of the attempted robbery in Count 3. The victim was not injured. Count 5, attempted armed robbery. Flag and Garrison attempted to rob a 25-year-old Hispanic man outside his apartment in the 1900 block of Faith Place, in Terrytown. This crime happened approximately 6:05 p.m.
Count 6, attempted second-degree murder. Garrison then shot the victim in Count 5. The bullet severed victim’s spinal cord, leaving him wheelchair-bound for the rest of his life. Garrison and Flag obtained nothing of value from this victim. Count 7, armed robbery. Garrison and Flag then robbed a 54-year-old Hispanic man outside his apartment in the 1500 block of Abbey Road in Harvey. That crime happened approximately 6:30 p.m.
Count 8, illegal discharge of a firearm. Garrison shot at the victim in Count 7, after the victim attempted to follow the robbers. The victim was not injured but lost more than $400 in cash and his cell phone in the robbery. Count 9, convicted felon in possession of a firearm. Flag was prohibited from possessing guns because of a 2011 conviction of possession of cocaine, for which he was sentenced to four years in prison. Count 10, illegal discharge of a firearm. Garrison and Flag were shooters in a Dec. 9, 2015, drive-by shooting in Marrero’s Acre Road public housing development. In addition to gathering statements from witnesses, the Jefferson Parish Sheriff’s Office in part tied Garrison and Flag to the crimes through the numerous spent bullet casings that deputies gathered at seven separate crime scenes. Investigators linked two 9mm semiautomatic pistols to the crimes with help from the National Integrated Ballistics Information Network, or NIBIN, a database maintained by the U.S. Bureau of Alcohol, Tobacco, Firearms and Explosives. The jury of six women and six men deliberated two hours in reaching their unanimous verdicts on all counts. Flag and Garrison lashed out in court as the verdicts were announced, cursing and protesting as deputies escorted them out of the courtroom. Judge John Molaison of the 24th Judicial District Court is scheduled to sentence Flag and Garrison on Thursday (Sept. 14). Second-degree murder carries a sentence of mandatory life in prison, a punishment Flag faces. However, Garrison will be sentenced for the murder at a later date. Because he was 17 years old at the time he committed the crimes, Judge Molaison must hold a sentencing hearing before deciding whether Garrison could be parole eligible after 25 years of a life sentence. A hearing date was not set. A New Orleans man was sentenced to 40 years in prison on Tuesday (March 14), after he pleaded guilty to robbing a Gretna pharmacy. Royal Stevens, 40, pleaded guilty as charged to four counts of armed robbery with a firearm, one count for each of the four victims who were in the business at the time he committed the crime. Stevens and his cohort ordered employees to fill boxes they carried with hydrocodone, oxycodone and other prescription medications. Stevens ordered the employees into a restroom and told them to wait there until they were gone. The gunmen then fled the business. The Gretna Police Department learned that Stevens had been in the pharmacy the day before, casing it in preparing the robbery. Security images helped detectives identify Stevens as one of the robbers. Detectives also concluded that Stevens used his silver Ford Mustang to case the pharmacy and to rob it the following day. Detectives also located bags of stolen narcotics at his apartment. In accepting the guilty plea, Judge June Berry Darensburg of the 24th Judicial District Court sentenced Stevens to 40 years for each of the four victims and ran the sentences concurrently. Stevens will not receive benefit of probation, parole or suspension of sentence. A second suspect was booked but not charged because of insufficient evidence. Assistant District Attorney Joshua Vanderhooft and Lindsay Truhe prosecuted the case.